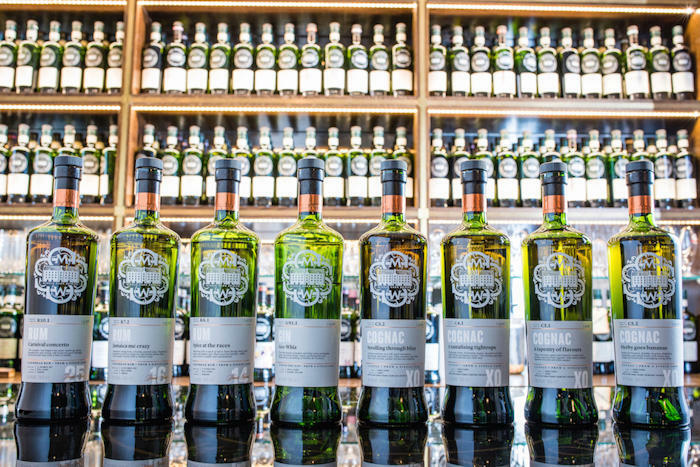 The world’s leading authority on single cask whisky and other spirits, The Scotch Malt Whisky Society (www.smws.com), is launching a new sub-brand called Single Cask Spirits for its non-malt whisky releases. While single cask whisky remains the Society’s core focus, the new Single Cask Spirits sub brand has been created to shine a spotlight on the array of other single cask spirits the Society bottles. The new-look range will go on sale in the UK and EU in August, with 10 casks available. The first batch includes a 25-year-old over proof rum from Trinidad [£195], which has tasting notes and serves created by world-renowned rum expert Ian Burrell. Also featured is a 50% proof gin from Glasgow [£40]; and an XO cognac [£95]. The Society has been working with gin expert Geraldine Coates and Cognac expert Michelle Brachet to develop spirit content and serves in the categories. Later in the year, bourbons and rye and grain whiskies will also be added to the range. Bourbon expert Matt Hastings, an International Drinks Consultant at Fluid Movement, will also be working with the Society to create training materials and serves for the spirit. The bottles in the Single Cask Spirits range will feature silver and copper labels, a unique Single Cask Spirits logo and the Society’s distinctive Tasting Notes which describe the flavours of the spirit. The Single Cask Spirits bottles will not be placed in one of the Society’s 12 unique flavor profiles, which are reserved for its single malt whiskies. Helen Stewart, Senior Brand Manager at The Scotch Malt Whisky Society said: “While single cask whisky will always be our absolute focus and priority, we have released many bottles of other spirits in the last 19 years as we like to explore the unique flavours and characteristics that single casks produce. The SMWS will be hosting Single Cask Spirits sampling sessions in UK venues throughout July. All details on www.smws.com.